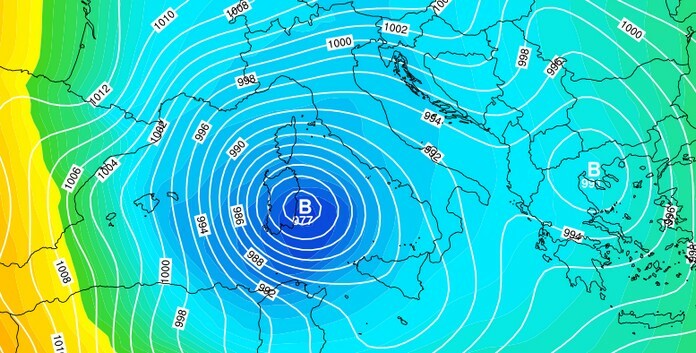 A “Polar Cyclone” is in formation in the Tyrrhenian could become a very rare Mediterranean Hurricane in the middle of Winter between Sardinia and Sicily. Tomorrow morning the Cyclone Polare could sink even up to 975hPa of low pressure, becoming a violent ” Mediterranean Hurricane ” in the south-west Italy. Meanwhile, today the North Italy has awakened, with widespread snowfall even on Emilia Romagna, Veneto and Friuli Venezia Giulia. 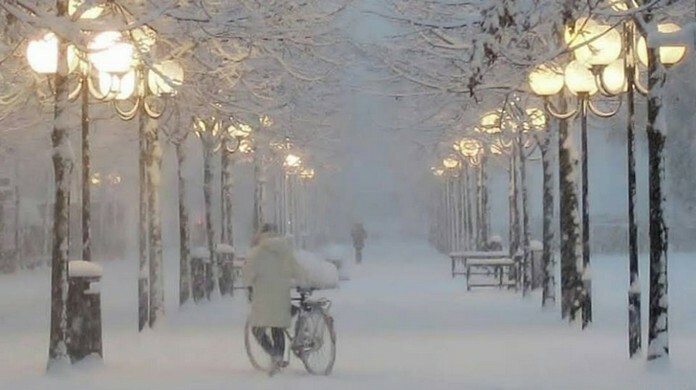 The snow has whitened the whole Romagna up to Bologna. Veneto and Friuli Venezia Giulia up to Trieste, with sub-zero temperatures also on the coasts. 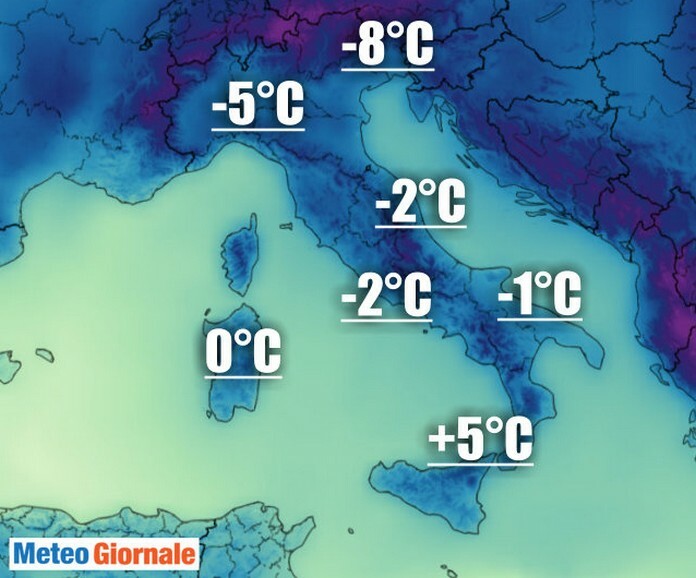 Piedmont and Lombardy where the minimum temperatures have plummeted to -8 ° C in Corsico and Voghera, -7 ° C in Novara, Vercelli, Abbiategrasso and Asti, -6 ° C in Pavia, Alessandria, Vigevano, Cantù, Buccinasco and Novi Ligure, -5 ° C in Milan, -4 ° C in Lodi, Treviglio and Casalpusterlengo.